Tekashi69 got bum-rushed on stage in Mother Russia … and the poor sap who did it got the mother of all beatings afterward. Video of Tekashi performing Thursday in Moscow surfaced, showing a guy rushing 6ix9ine from the side of the stage in a clear attempt to knock him over. The guy gets the deed done and then tries to bolt … but Tekashi’s team is quick to drag him back for a spanking. 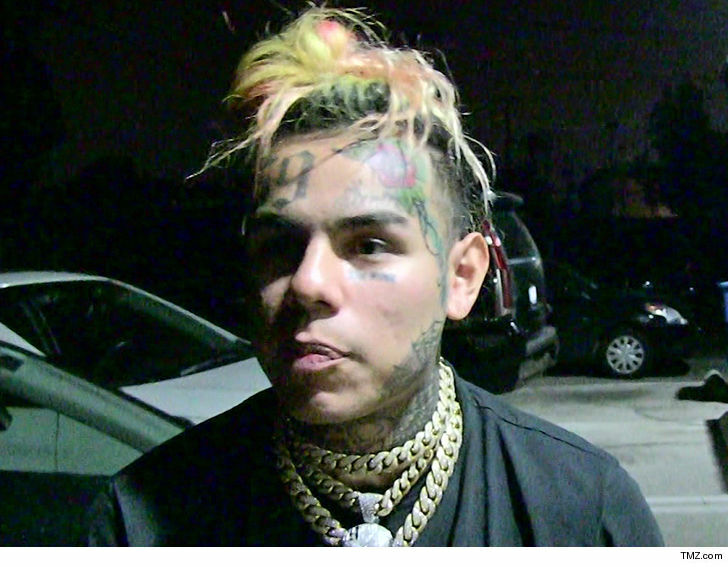 Tekashi himself wasn’t involved in the stomp-out, but the rapper’s security and crew took care of the rest. Makes sense Tekashi was whisked away … he doesn’t need any more legal trouble than he’s already got. It doesn’t appear Tekashi was that badly injured — as he seemed fine when he explained the incident later on a since-deleted Instagram live video. He should count himself lucky … ya know, after just getting his new teeth and all.